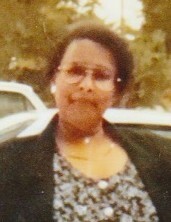 Barbara R. Walker, daughter of the late Elmore and Lenora Richardson was born on May 17, 1949 in Trenton, New Jersey. She departed this life on February 13, 2019 at Franklin Oaks Nursing Center in Louisburg, North Carolina. She joined her family church at an early age in Trenton, New Jersey and later she was baptized in Jesus Name here at New Beginning Ministries. Barbara received her education in Trenton, New Jersey. In 1975, she moved to Louisburg, North Carolina to raise her four sons. She was employed with Franklin Vance Warren Head Start for over five years before she decided to further her education at Vance Granville Community College where she earned her CNA license. She worked in the healthcare field until her health declined. Barbara was preceded in death by her husband, George Walker, one brother, Earnest Richardson, two sisters, Ella Mae Coley and Jeanette Richardson, one grandson, Semaj Dante Manley. She is survived by: her four sons, Willie Patterson Jr. (Veronica) of Metuchen, NJ, James Patterson of Newark, NJ, Tyrone Patterson (Della) of Louisburg, NC and Richard Patterson (Cassandra) of Durham NC; one sister, Ruby Richardson (Ollie) of Centerville, NC; three brothers, Elmore Richardson, Jr. of Trenton, NJ, James Richardson (Jean) of Castalia, NC and Willie Gray Richardson (Donna) of Rolesville, NC; one uncle, Lonnie Richardson of Centerville, NC; fourteen grandchildren; five great grandchildren including, Semiyah Manley whom she talked about every day; two special people in her life, Barbara Terrell of Louisburg, NC and Jerry Woods of Henderson, NC; a host of nieces, nephews, many other relatives and friends.